One Friday afternoon, Sheila and I ,met up for lunch and decided to go to Henderson Wave. With the help of her Iphone's GPS,a train and couple of bus rides, we were able to reach our destination. 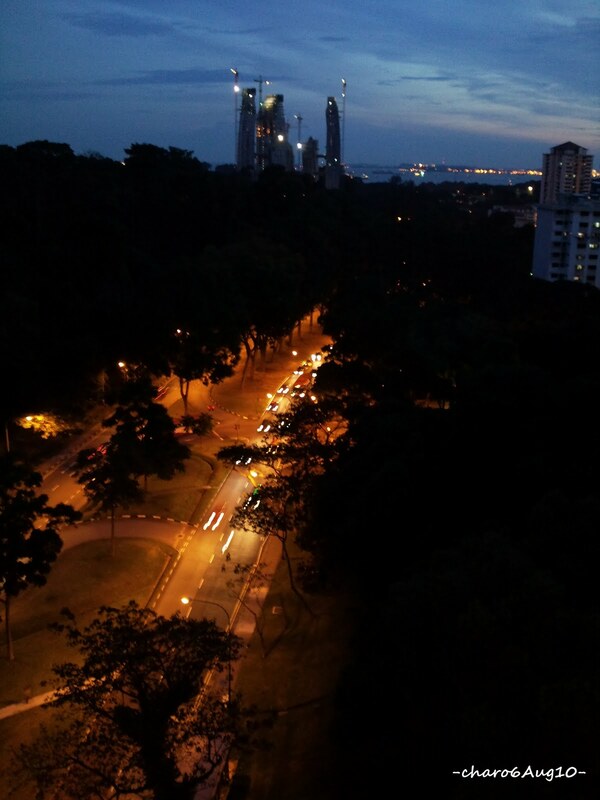 It's 274 metre-long pedestrian bridge that spans Henderson Road to connect Mount Faber Park to Telok Blangah Hill Park. 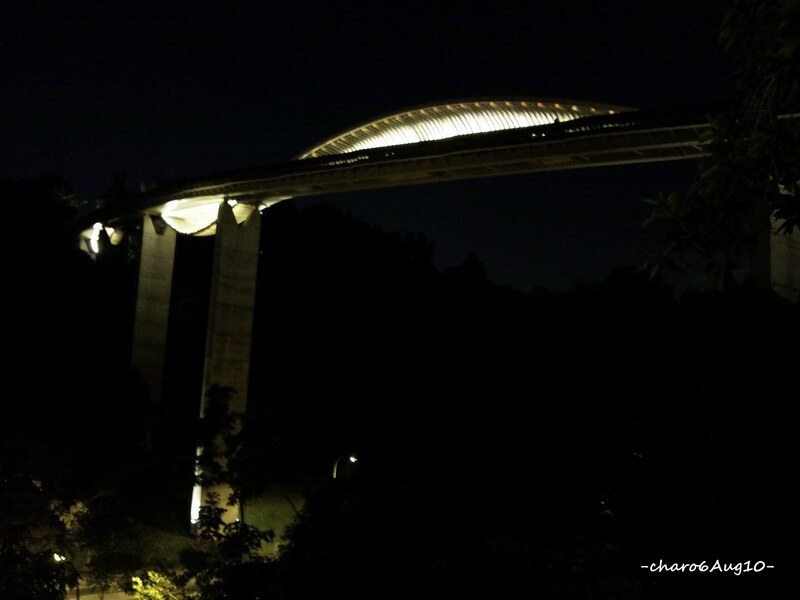 At 36m above Henderson Road, Henderson Waves is the highest pedestrian bridge in Singapore. You can admire the beautiful skyline as you stroll across there. The wave-like structure provides shelter for the public.And the illuminated look at night is quite a scene as well.It's a good place for relaxation, bonding with families and friends, jogging or if you just want to have some space to think. We enjoyed picture taking, people watching while strolling and chit chatting. We also came across with 2 monkeys,and while I got scared of them, Shiela enjoyed following and taking photo of the monkeys! The floor boards will also tell you the height of the location you're at. 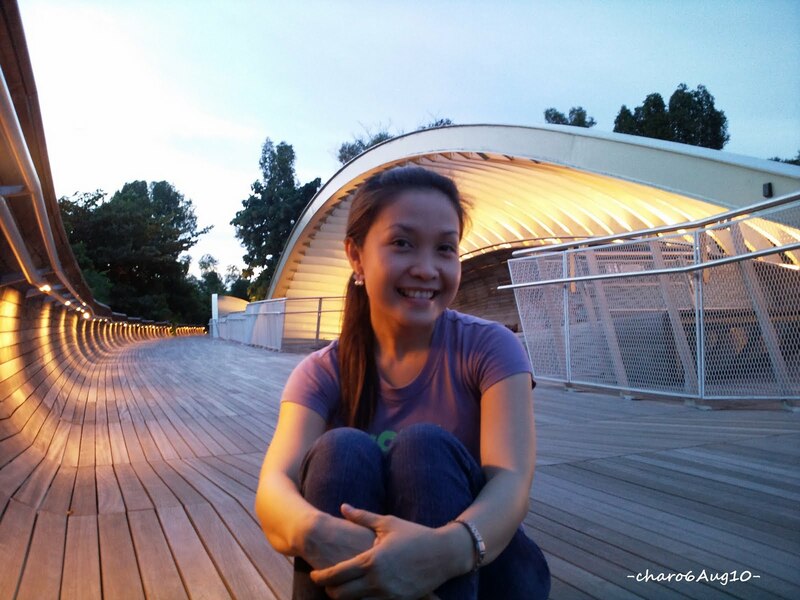 And though it's supposed to be just a pedestrian bridge, it also becomes a nice get-together destination.